If you are not sure how much weddings in your area cost, check out this site. Then, think about the size of your event. Also have an idea of what mood and atmosphere you want your celebration to have. Are you going traditional, casual, intimate, elaborate, unusual, unique? Do you want a small wedding 20 – 40? More around 100-130? Huge with 200 plus? Remember the more people the more you will spend on dinner and drinks. The venue (food and drinks) will take up most of your budget. Once you have a budget and guest list, you can start talking to the venues to sign the ceremony location and reception location. Check out the amount the Budget Calculator distributed for Reception: Food & Beverage. Take that amount and divide it by the number of guests you plan to have. This will give you your “Dollar Per Plate” amount. You will need to know this amount so you know how expensive of a location and meal choices are available in your budget. If you don’t care When you get married, you can get some great deals if you pick a date in the off-season. The most popular dates are May – October. But off-peak wedding months vary according to regional climate and the desirability of the weather. *Be sure to find out the policy on changing dates just incase something comes up. After you sign contracts you can think about colors. You don’t want to pick Colors and a Mood for your wedding and have the atmosphere of the venue clash with your choices. You can always start with a favorite flower and find things to match it. Here is a link to a 57 Page Wedding Planner by Russell and Hanzel that you can print out and place in a binder to help you with your wedding planning. I wrote a table of contents for you, so you can print the whole thing, or just the pages you need. Some pages, i.e. Guess List tracker, you would print out multiple pages as needed. 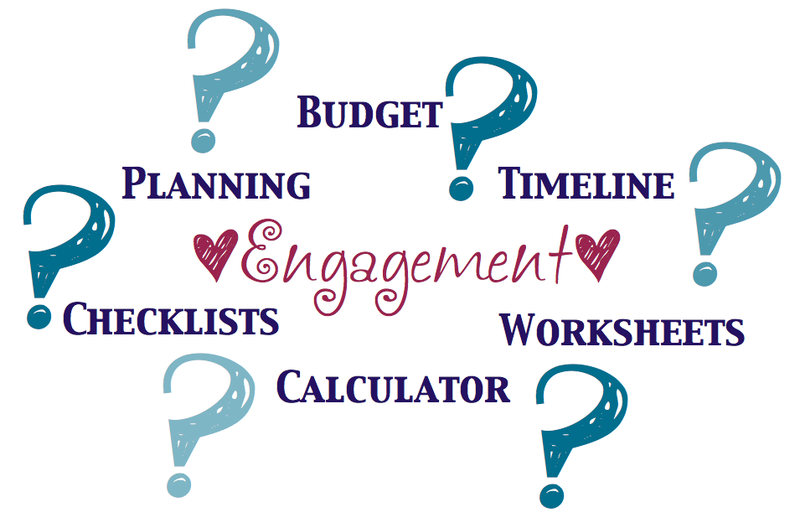 Posted on December 18, 2013, in Wedding Tips and tagged Budget Calculator, checklist, color wheel, DIY, Free Wedding Planner, Printable, template, Timeline, wedding, Wedding Checklist, Wedding Planner. Bookmark the permalink. 5 Comments.